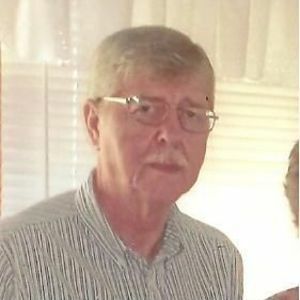 GREENVILLE – Arvin Neel Jenkins, 60, of Greenville, died Saturday, July 14, 2012 at his residence in Greenville. He was born in Jefferson County on July 25, 1951. He was a sewing machine repairman at Red Cap Co. in Lewisburg, KY and a member of the White Plains Missionary Baptist Church in White Plains. Mr. Jenkins is preceded in death by his father, Henry Jenkins and a granddaughter, Catherine Coleman. Survivors include two sons, Arvin Doyle Jenkins of Morgantown and Cristian Jenkins of Russellville, a daughter, Crystal Coleman of Bowling Green, two grandchildren, Claire and Alex Coleman, his mother, Louise Jenkins of Belton, two brothers, Nathan Jenkins of Greenville and Timothy Jenkins of Belton, two sisters, Terecia Gehring of Madisonville and Mary Lou Beard of Greenville. Funeral services will be held at 11:00 AM on Tuesday, July 17, 2021 at Tucker Funeral Home in Central City conducted by Rev. Mickey Travis and Rev. Leamon Mefford, with burial to follow in the Union Ridge Cemetery in Belton. Visitation will be Monday after 5:00 PM and Tuesday after 8:00 AM at the funeral home. Expressions of condolence can be made to the Gideons International. Envelopes available at the funeral home. The beautiful and interactive Eternal Tribute tells Arvin's life story the way it deserves to be told in words, pictures and video. Rest in peace.No more pain or grief.